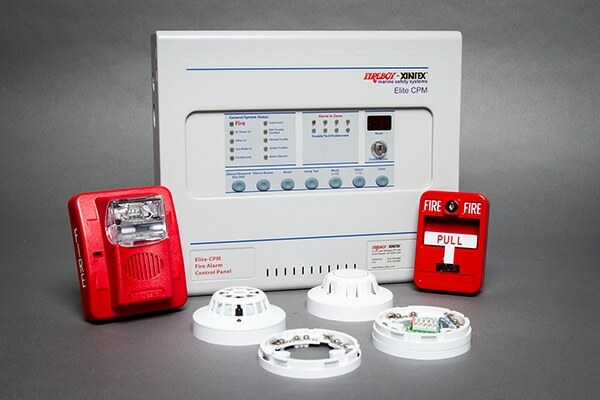 The Elite CPM range of conventional fire control panels with optional built in communicators are available with 2, 4, or 8 initiating circuits which may be extensively configured via a simple front panel operated programming method. The low standby power requirements and cost effective small batteries allow the panel to be mounted in a small discrete enclosure. A simple programming method using just 3 front panel buttons allows an extensive list of configuration options to be set and reviewed. Single board construction which allows easy removal of all electronic parts and ample provision of cable entry knockouts to simplify installation. 4 Amp notification appliance power and built-in selectable sync protocols provide ample power and control for a wide range of standard notification appliances. The optional DACT allows dual line reporting to central stations and provides a 500 event history buffer. Nominal Capacity 20 Hour Rate (350mA to 10.50 Volts): 7.0 A.H. 10 Hour Rate (650mA to 10.50 Volts): 6.5 A.H. 5 Hour Rate (1.2A to 10.20 Volts): 6.0 A.H. 1 Hour Rate (4.5A to 9.00 Volts): 4.5 A.H. 15 Minute Rate (14A to 9.00 Volts): 3.5 A.H. The VF3021-10 and VF3022-10 series pull stations are operated by pulling the handle marked “PULL” on the front of the station as far down as it will go. At that point, the station will lock in place and is easily visible from up to 50 feet. The activation handle is reset by opening the station with the key, placing the handle in the normal upright position and relocking the station. On the dual action, the push bar rotates inward allowing the “PULL” handle to be grasped and operated by a single hand. The VF3021-10 and VF3022-10 are versatile, high-quality, metal Fire Alarm Pull Stations designed to meet any installation demand. Available in both single VF3021-10 and dual action VF3022-10 configurations. 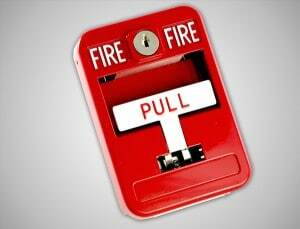 The normally open contact of each station, which closes when the pull station is activated, is rated for 1 Amp, 30VDC. The contacts are gold plated to avoid risk of corrosion. 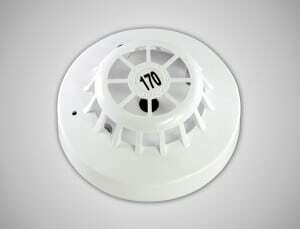 The Outdoor Fireboy-Xintex Series offers dependable visible and/or audible alarms for all outdoor needs. 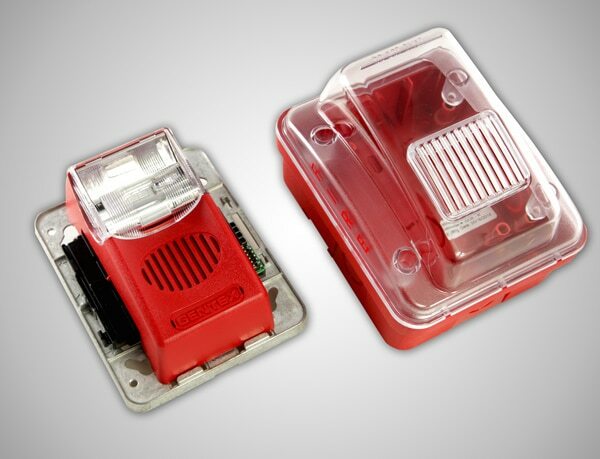 Included with the Fireboy-Xintex Series is the VF4008 outdoor enclosure. The enclosure is made of high quality Lexan material, providing protection from weather related conditions and allowing the necessary full candela output. This highly constructed enclosure meets various installation requirements including deterring moisture from entering the enclosures. The Outdoor Series is equipped with the 4” mounting plate which incorporates the Super-Slide™ feature that allows the installer to easily test for supervision. The product also features a locking mechanism which secures the product to the bracket without any screws showing. The Fireboy-Xintex Series also features the Checkmate™ Instant Voltage Verification feature which allows the installer to check the voltage without removing the signal. The Fireboy-Xintex Series strobe has a minimal operation current and has a minimum flash rate of 1Hz and can vary up to 2Hz regardless of input voltage. 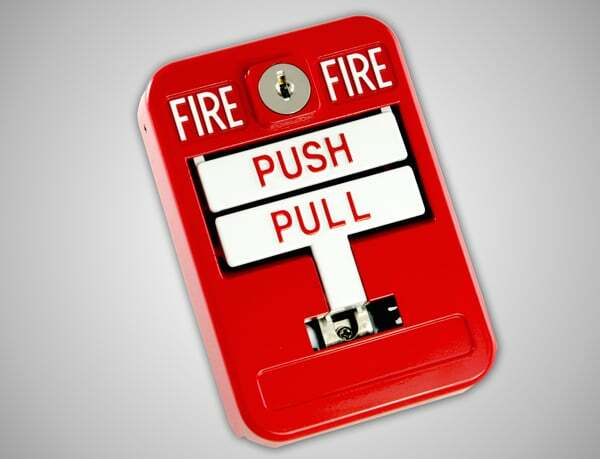 The Fireboy-Xintex Series appliances are UL 464 and UL 1638 listed for use with fire protective systems and are warranted for one year from date of purchase. 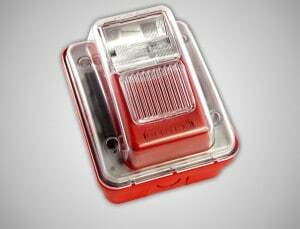 The Series 65A Discovery Photoelectric detector is distinguished by the indicator LEDs which will flash when the detector is in standby state and steady red in alarm. The housing is white polycarbonate and will not fade. Terminals are nickel plated stainless steel. Note: Bases are not included with detectors, please order separately. 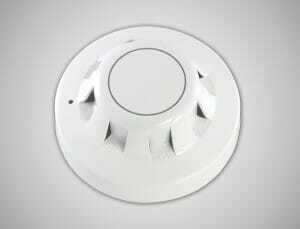 The series Series 65A Photo-Electric Smoke Detector incorporates a pulsating LED located within the housing of the detector. Within the case is a printed circuit board which, on one side, has the light-proof chamber with integral gauze surrounding the optical measuring system and, on the other, the signal processing and communications electronics. An infrared light emitting diode is arranged at an obtuse angle to the photo-diode. The photo-diode has an integral daylight-blocking filter. 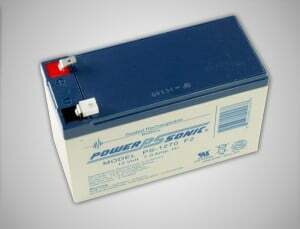 The IR LED emits a burst of light every second. In clear air the photodiode receives no light directly from the IR LED, because of the angular arrangement and the chamber Baffles. When smoke enters the chamber it scatters light from the emitter IR LED onto the photo-diode in an amount related to the smoke characteristics and density. The photo-diode signal is processed to provide an analog value for transmission when the detector is interrogated. 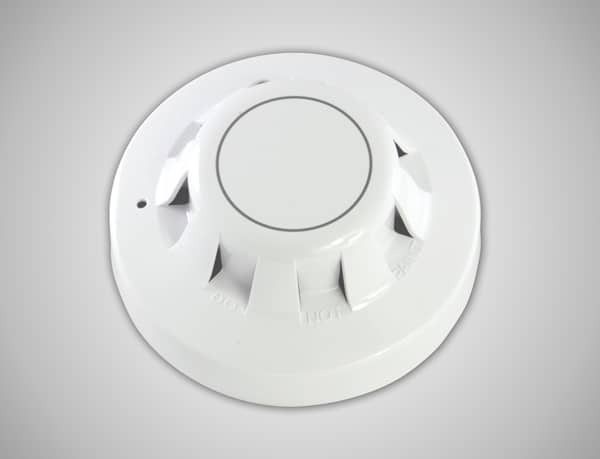 The Series 65A Heat Detectors monitor temperature by using a dual thermistor network which produces a voltage output proportional to the external air temperature. There are 6 detectors in the series to suit a wide variety of operating conditions.